I am an artist and master teacher, practicing the concept that creativity matters. 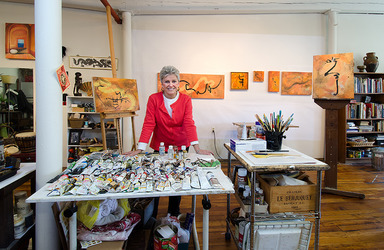 I teach art making with a classical approach to technique and composition, and a creative approach to helping students find their own voices in creating original work. I bring to my classes freedom for experimentation and imagination. Individual creative expression combined with the confident handling of technique is the goal. I book classes as people call me. Private classes are available on weekdays and evenings. Group classes are limited to six students or less, in order to insure that each person gets lots of individual attention and plenty of workspace. 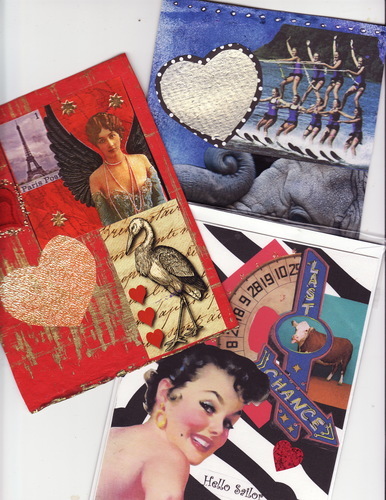 My own art makes use of whatever materials and methods that seem appropriate to my ideas…paint, collage, and sculpture, drawing media or wax. I have been teaching and inspiring students in all these media for forty years. 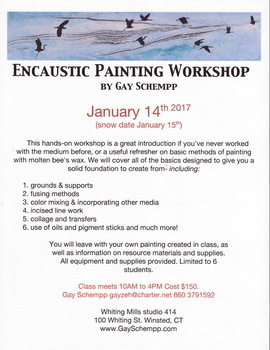 Group classes are for beginning and intermediate students who want to learn the techniques necessary for painting in oil or watercolor. Objectives are originality, mastery of media/technique and emergence of personal style. -$15. per person for 2-3 hour sessions, materials included. You will leave with your own painting created in class, as well as information on resource materials and supplies. All equipment and supplies provided. Limited to 6 students. Class meets 11 AM to 5 PM Cost $150. I hope you can join us for a delightful afternoon of art play, refreshments and lots of laughter.